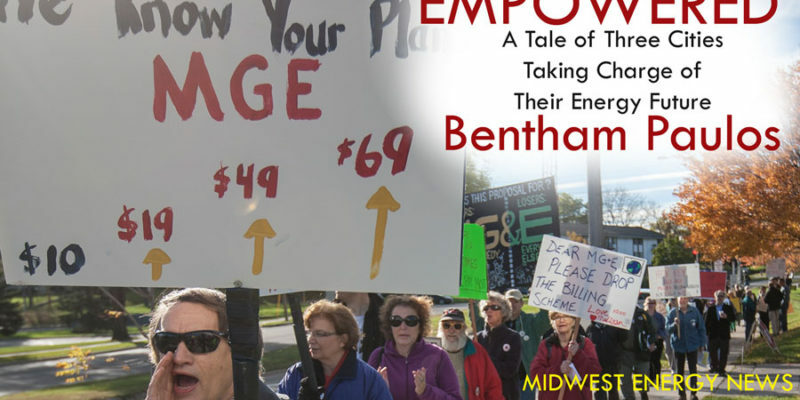 Empowered is a new book by energy consultant and journalist Bentham Paulos. It describes how city officials and activists in Boulder, Minneapolis, and Madison are fighting back against entrenched utilities, and taking charge of their energy future. Published by Midwest Energy News, it can be ordered in paperback from Lulu or e-book from Amazon. Empowered is about how utilities and the communities they serve are getting increasingly out of step with each other. Utilities profit by selling more power, and by protecting the investments they have made in the past. But many communities are concerned about climate change. About the long-term impacts on infrastructure, the environment, public health, and their security. They want to do something about it, and are implementing climate action plans. And individuals are interested in taking advantage of new energy technologies, like solar panels and LED lights. They want to save money, to save the planet, to be more self-reliant, and have more secure energy. But under their current ways of doing business, the need to reduce climate pollution and customers that are efficient and solar powered can be financial threats to utilities. Their old investments are at risk, and their ability to sell more power is at risk. So they are fighting back, either dragging their feet or actively changing the rules to slow things down. As a result, their customers and their communities are looking for new options. What are Boulder and Minneapolis doing? What is motivating them? Boulder has a very strong climate action plan. They city is full of energy and climate scientists at local national labs, so they are very knowledgeable. Their local utility, Xcel Energy (which also serves Minneapolis and western Wisconsin), was not doing enough to help the city. It dragged on for years, and finally the citizens decided they’d had enough. They decided to start their own utility, to do basically a hostile takeover of the Xcel system in Boulder. It is taking years of litigation and studies, but I think they will do it. People in Minneapolis looked at Boulder and thought — we have a climate plan too. Why isn’t Xcel doing more to help us? Around that time, Xcel’s contract to operate in Minneapolis, called the franchise agreement, was up for renewal. Activists starting asking what options the city had to get cleaner and more efficient energy service, and how that could be worked into the franchise agreement. They had community meetings and city council hearings and so on. As the result of a study the city commissioned, they created a partnership with the gas and electric utilities to explore new programs and policies. So Minneapolis ended up being very collaborative, while Boulder has degenerated into all out war. We’ve seen a lot of controversy in Madison about the rate hikes that MGE proposed. Can you fill us in about that? In Madison, the dynamic has been different, but the results may be the same. Last year MGE proposed a huge increase in the mandatory part of their customers’ electric and gas bill. They wanted every household to pay at least $69 a month for electricity, regardless of how much you used. This would have penalized customers who use the least energy, typically low income and seniors. They did this because they are worried about customers buying less energy from them, such as by being more efficient and going solar. A big mandatory fee either stops customers from doing that, or ensures that MGE gets paid anyway. So it’s a win-win for MGE, and a lose-lose for customers. Is that happening just in Madison, or in other places? It’s happening all across the country, as utilities are trying to preserve their business model in the face of rapid change. But in almost every state the proposals have been rejected by regulators. Only in Wisconsin have they succeeded. In fact the regulators at the Public Service Commission actually encouraged the utilities to ask for big mandatory charges. WE Energies and WPS also got increases last year, and WPS and Xcel are asking for another increase. WE Energies also added an extra fee on solar customers to penalize them (though this just got thrown out by a court). No doubt MGE plans to back year after year, to gradually get up to $69 a month, instead of all at once. Unless the community puts enough pressure on them to change their plans. What can people in Wisconsin do about it? Well, clearly the utility commission is not too concerned about consumer protection or environmental protection, and the legislature and the governor seem to share that view. So that leaves local government, and whatever they can do to put pressure on utilities or take their own legal action. As we’ve seen in Boulder, the options can be pretty aggressive. 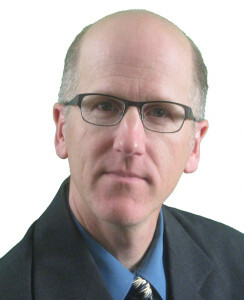 In Minneapolis they are exploring a number of ideas that are less extreme; if Xcel is willing to step up perhaps they can get something done through collaboration. If not, Minneapolis could follow the Boulder route. Madison and other Wisconsin cities can pursue many of the same options. Unfortunately, some of the best options are not allowed by Wisconsin law. Customers can’t choose another power company, and the community can’t buy power on behalf of their citizens, like they can in Illinois. MGE is convening what they call “community conversations” this fall, public meetings where customers can sound off about the issue. And the city council’s sustainability committee is studying the issue and will report to the city council soon. I think that direct action by the people and government of Madison, putting pressure on MGE, will be the best option. If MGE doesn’t respond to that, then they are likely setting themselves up for more drastic options.